Pictured above is the Port Union salt fish plant and retail store during construction. Though the photograph is undated, Edith Samson from the Sir William Coaker Foundation noted that the retail store (on the left) is shown here as a 4 story building indicating that this photo was taken at the time of the original construction project. In 1945 this building was rebuilt but only as a 3 story structure. 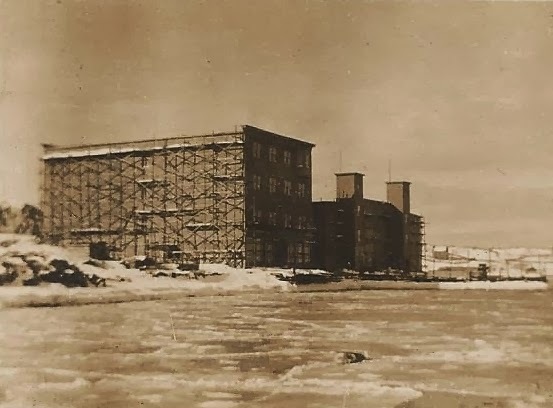 This photograph was donated to the Heritage Foundation of Newfoundland and Labrador and will be added to the Port Union collection on MUN's Digital Archives Initiative.